Jessica Bell is an Australian novelist, poet, and singer/songwriter/guitarist who lives in Athens, Greece. In fact, the homepage of her website asks the question, ‘Which me would you like to meet?’ In addition to her novels, her poetry collections (including Fabric, which was nominated for the Goodreads Choice Awards in 2012), and her bestselling pocket writing guides (Writing in a Nutshell Series), she has published a variety of works in online and print literary journals and anthologies, including Australia’s Cordite Review. 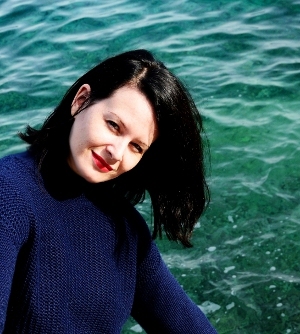 Additionally, she is the Publishing Editor of Vine Leaves Literary Journal, and the Coordinator of the Writing Day Workshops which take place throughout the United States on a rolling basis. She also designs book covers. And as if this wasn’t enough, she’s also the driving force behind Outside the Box: Women Writing Women, but more on that later. For a flavour of Jessica’s fiction, watch NYT best-selling author Joni Rodger’s 60 second review of White Lady. With so many different aspects of your creative life, how do you take an idea and develop it into a project? Actually, that’s quite a difficult question to answer as I don’t think of anything I do as a ‘project’. It all starts with the writing/creating. It doesn’t become a “project” until I’ve finished creating it. Mainly because I can never truly know what marketing angle I’m going to take until I know every single aspect about the product. Sure, some may start out as ideas to make money. Some may start out as ideas to flex my creative skills, others are just exciting to do. I love every aspect of what I do, be it writing, making music, publishing, etc. All my creative endeavors are just another limb attached to my body. If they make me money, so be it. If they don’t, I certainly do not plan to amputate. You began writing through music and your band. Does your music inform your approach to writing novels? Or do you feel that music and writing are completely separate forms of expression? Music and writing definitely feed off one another. There is a slight boundary separating the two, however, regarding my own emotional satisfaction when writing music vs. literature. I’ve always said that writing is my oxygen and music is my carbon dioxide. I need them both in the air I breathe, but with music, I’m happy to breathe it out again. Once I get my fix, I can manage without it for weeks. But with writing, I need it all the time to feel emotionally fulfilled. I think this is because writing gives me a high, but music, for some reason, makes me feel quite melancholic. I don’t consider that melancholy as negative energy, though, as I’m usually inspired by it to write! Do you have a particular muse in mind when you write? I definitely write for myself, and THEN try to figure out how to market it to readers. I’m a strong believer in the notion that if you do not write for yourself, your work will not be your best. Any creative endeavor has to come from an honest place in order for people to be able to relate to it. That’s my opinion anyway. As for what defines me. That is a hard question. It’s taken me almost five years to come up with a tag line that describes my work. You can see it here. A lot of your writing feels as if it has arrived fully formed, but does it really work like that for you? Funny you say that. Many of my short pieces do actually come out pretty near perfect. (But this is definitely not the case for my novels!) I think that’s because short pieces simmer in my mind for a lot longer. My short works are mainly a result of a feeling, and they pretty much express themselves when the time is right. Who or what are your main influences? Can we detect them in your work? I have many influences. I don’t believe they come into my work directly though. But they do encourage and inspire me to hone my own style and voice so that I can continue to be referred to as “Jessica Bell”, rather than “Jessica Bell writes like blah.” A few of my favourite authors are Marilynne Robinson, Margaret Atwood, Truman Capote, Milan Kundera, Raymond Carver, Rebecca Miller, Jeanette Winterson. 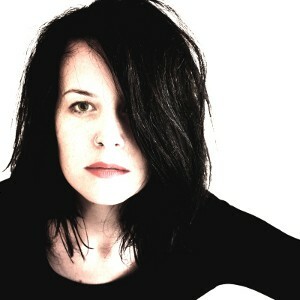 Music-wise, I’m a huge fan of PJ Harvey. My latest obsession is Sóley. You write articles and have written a series of books giving advice to authors on issues such as structure, and yet your own work is ground-breaking. How do you reconcile the two? The great thing about rules is, they’re meant to be broken. But I truly believe that, as a creator, you cannot intelligently break rules unless you know them first. Which is why I advise writers learn the rules. Practice them. Then manipulate your skills to create what you want. Was it always your intention to self-publish or did you considered the traditional route? Story of my agent-hunting life: “Love your writing, I just don’t know how to sell it.” Since writing White Lady, I have decided to give up looking for an agent. One, because I would rather put my energy into my entrepreneurial endeavors, and two, because I honestly feel, after getting the same answer since 2011, that it’s not going to change. It’s not that I think having a literary agent has no value. They do. Very much so. But they only have value for a certain type of author. If you’re an author who happens to write exactly what publishers are looking for at exactly the right time, then having an agent can soar you to unbelievable heights—if you’re lucky. It’s one big gamble no matter which publishing route you decide to take. But I am extremely happy with how my career has grown as a self-published author. It’s slow, but steady. I know what I want, and I’m a hard worker. I’m dedicated to achieving the best for myself and for my career. Self-publishing is my skin. It’s what holds me together. You also publish other authors through Vine Leaves Literary Journal. Does editing other authors’ work help you with your own? Vine Leaves Literary Journal publishes vignettes, and I am constantly inspired by the submissions I read, and on many occasions I am in complete awe. I can confidently say that editing other people’s work encourages me to keep upping my game and trying new styles. The beauty of publishing a literary journal is that we get to choose to publish pieces which are already perfect for us, so the editing involved is more about ordering the pieces, coupling them with artwork that compliments the explored themes—and vice versa—and taking care to design the issues in an aesthetically pleasing way. Choosing submissions and designing each issue is an art form in itself, really, and I am sure I benefit from this, even if it’s subconsciously. 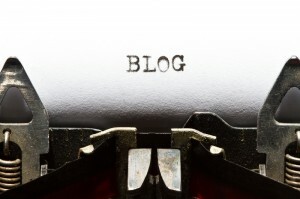 What’s the value of mentorship between more experienced writers and those just starting out? I think being mentored by someone more experienced can only have value if the mentor takes the time and effort to help them shape a writer’s work in a way that resonates with their needs/wants/goals. Every writer starting out needs to know that there’s no magic pill. I know it’s very clichéd to say, but practice does make perfect. No mentor will help a writer as much as learning from his or her own mistakes. I’ve been writing since I was twelve, excelled in English literature at high school, studied English at University, obtained my Bachelor of Arts which included a course in screenplay and fiction writing, have been working as an English Language Teaching editor and writer for ten years, have written a series of bestselling writing craft books, and numerous novels, poetry books and short stories, and I’m still discovering ways to improve my writing. I’m still reading my own work and telling myself that I can do better. There will forever be room to grow. Tell us about the annual vignette collection award that Vine Leaves runs. Through the award, we select single-author vignette collections to publish. Why vignettes? Less rules, more freedom! “Vignette” is a word that originally meant “something that may be written on a vine leaf.” It differs from flash fiction or a short story in that its aim doesn’t lie within the traditional realms of structure or plot. Instead, the vignette focuses on one element, mood, character, setting or object. It’s descriptive, excellent for character or theme exploration and wordplay. Through a vignette, you create an atmosphere. So if you want to be published by us, you need to write a vignette collection, and you need to submit it to the award. What motivated this? I want the vignette to be more recognized as a “form” rather than what some people like to call “stream of consciousness.” A vignette is so much more than a stream of consciousness and deserves some of the limelight. 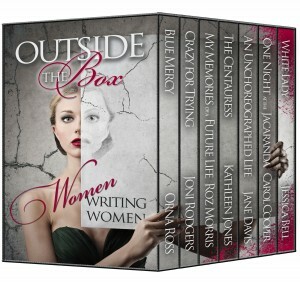 You met the other writers involved in this box set through the Alliance of Independent Authors (ALLi). How important do you think it is for self published writers to belong to some sort of writing community? I actually met Roz Morris online when I released my debut novel in late 2011. She hosted me on her blog for The Undercover Soundtrack where I talked about writing, recording, and producing an original soundtrack for String Bridge. I also must admit, as soon as I read Roz’s novel, My Memories of a Future Life, I was debilitated by a literary crush. The book is extraordinary, to say the least, and I am extremely honoured to know such a talented woman. We have kept in touch online ever since. 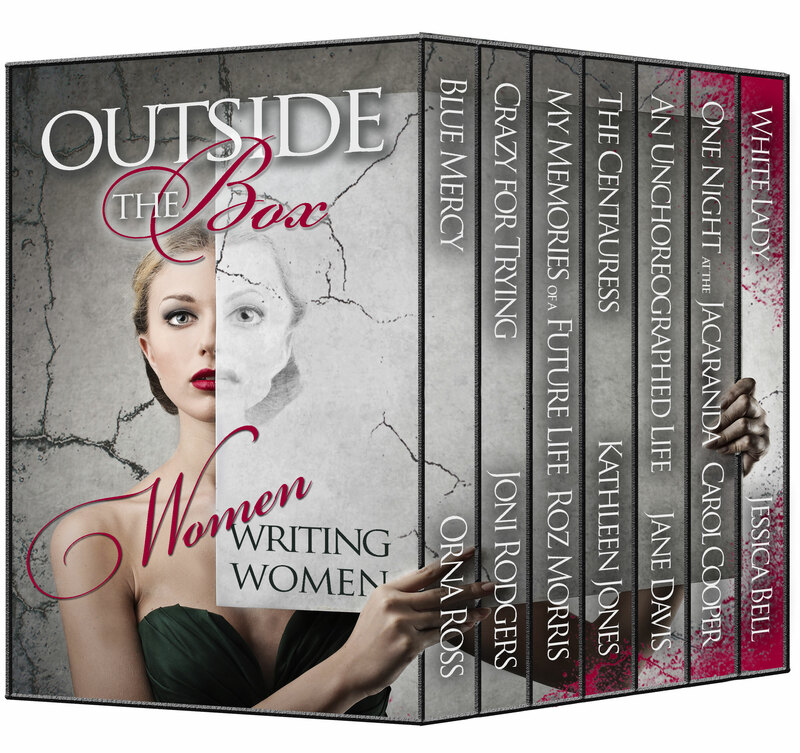 How did did concept of Outside the Box: Women Writing Women come about? I was trying to brainstorm some marketing ideas, as these days, once you find success via one route, its effectiveness quickly declines, and you need to up your game with something fresh. I noticed a lot of talk online about box sets, and thought it might be a wise idea to explore the possibility. Most authors who have found success with the box sets were a part of very genre-driven compilations. 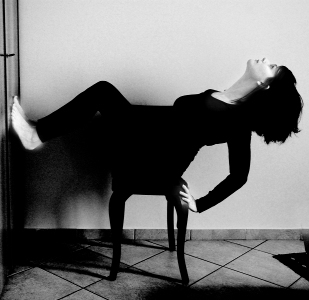 But that’s where Outside the Box: Women Writing Women differs. The spotlight is on “unlikely heroines” and though the seven novels included may fit through the Literary/Contemporary Women’s Fiction slot, they are all remarkably and uniquely different in style, which I believe to be a very strong attraction. There are readers out there who don’t like to read the same kind of genre, or about the same kind of characters over and over. This box set is for them. Available for 90 days only! How did you choose which of your titles to contribute? Is White Lady personal favourite or did it seem best suited to the theme? 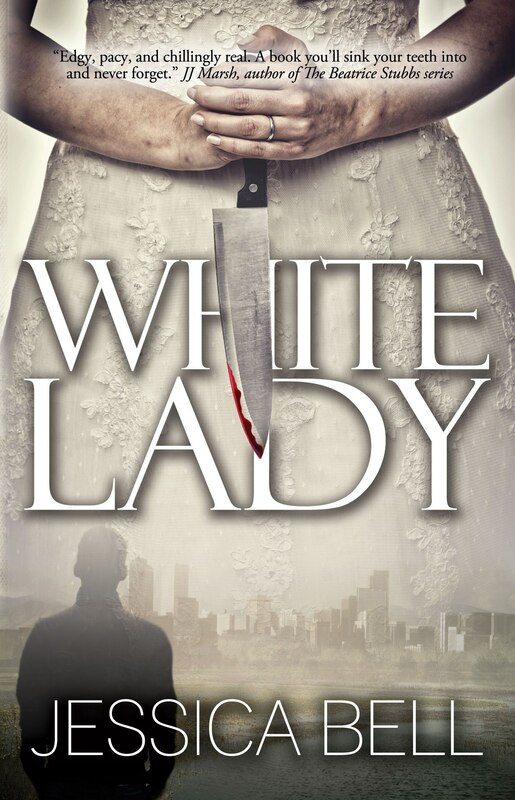 White Lady is my latest release, and therefore, I believe, my best novel to date. With every book I write, my skill improves, and though my previous books still claim a decent chunk of my heart, I felt it was necessary to put my best foot (book) forward. This isn’t to say that I believe my backlist isn’t of great quality—not at all—it’s just that, as a writer, I find it would be dishonest to not admit to constantly growing and improving, as I’m sure every kind of artist does the more they produce. 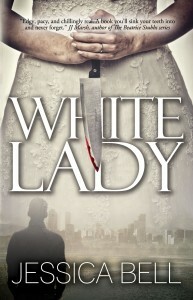 I also must say, that the women in White Lady fit the theme of “unlikely heroines” to a tee. The road is cold and rough against my left cheek—the white reflection of the moon ripples in the pool of blood between me and Dad. I blink, wince at a sharp pain in my thigh. I touch it with my right hand. It’s wet, warm—a moist memory. “Nash.” I whisper a little louder, hoping he’ll respond to his name instead. He remains still, silent, skeletal. I try to reach for him, but my left arm won’t move. I’m not sure if I can even feel it. Behind me, slow movement shifts the air. Someone curses under their breath and kicks a rock. It tumbles, rolls to a halt in the distance. Gentle footsteps approach from behind. Someone sniffs, groans, and clears their throat; another voice whimpers. 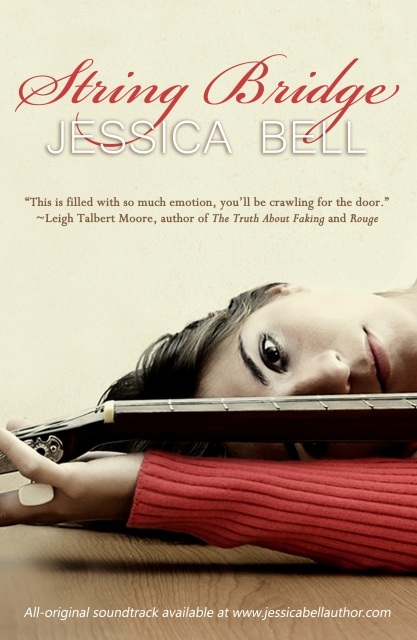 Sign up the the newsletter on Jessica’s website and receive a free copy of either Book 1 of her Writing in a Nutshell series.